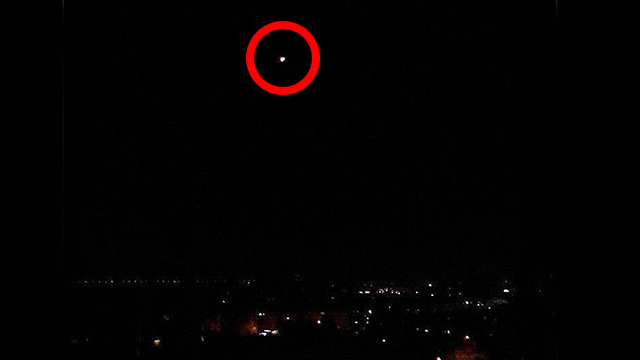 Israeli air defenses were activated against a missile launched from Syria, there were no casualties or damage to property; meanwhile, Syrian state media reports Syrian air defenses intercepted ‘hostile targets’ near Damascus. Israeli air defense systems were activated in central Israel Tuesday night against a missile launched from Syria. There were no casualties and damage to property, IDF Spokesperson Unit said. At the same time, Syrian state media reported Syrian air defenses intercepted “hostile targets” near Damascus. According to the Syrian Observatory for Human Rights, Israel had attacked three targets—Iran or Hezbollah’s arms depots located southwest of Damascus. The IDF did not specify whether air defenses intercepted the missile. Hezbollah’s information channel reported that S-200 missiles were launched against the attack missiles. The Syrian Assad regime has yet to respond to the reports. At the same time, Lebanese state-run National News Agency reported Israeli war planes performed mock raids above southern Lebanon. As in previous reports of attacks in Syria, this attack is also connected to an Iranian plane. On Tuesday morning, the Boeing 747 of Iranian airline Fars Air Qeshm, which is affiliated with the Revolutionary Guards, took off from Tehran International Airport (THR) to Imam Khomeini International Airport (IKA). At 5:30pm, the plane took off for Damascus International Airport where it landed shortly after 7:45 pm. The plane was apparently used to transport military equipment to the Syrian army and Hezbollah. 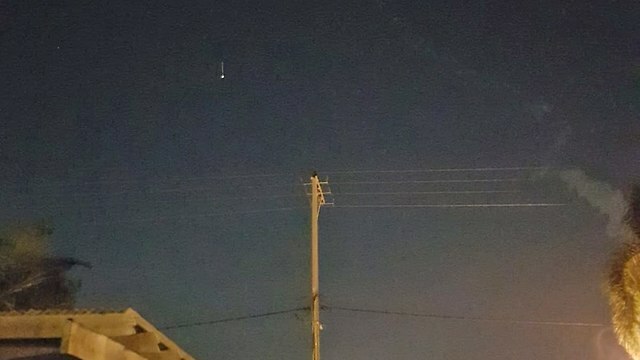 Residents from central Israel reported seeing a trail of smoke in the sky near Hadera. The trail was also seen in the north. “We were sitting in the living room when the noise shook the entire house. We heard a launch and immediately went outside. It was flying fast, we saw a trail of smoke and a yellow spot in the sky. It’s not the first time, it already happened twice since we’ve moved here a decade ago,” said Sa’ar Pardi, a resident of Maor, a moshav in north-central Israel. The Lebanese Ansharah website reported that the Syrians used a new type of missile. According to preliminary assessments, the attack took place on the Lebanese-Syrian border, the news website added.The attack is the first since the missile assault on the southern outskirts of Damascuson November 29. Earlier this month, Syria reported that air defense system had been used against enemy targets in Damascus. According to the report, the attack was carried out in the air space of Damascus airport. Not long after, the reports were removed. The Foreign Ministry attributed the attack to “the direct result of the American policy of contempt for human values and the disrespect shown in the establishment of the coalition that attacked Deir al-Zour.” It was the first time the Syrians had admitted an Israeli attack since the Russian plane crash in September. In recent months there have been fewer reports of Israeli attacks in Syria, especially after the downing of the Russian aircraft. This entry was posted on December 26, 2018 at 7:37 AM and is filed under Uncategorized. You can subscribe via RSS 2.0 feed to this post's comments. You can skip to the end and leave a response. Pinging is currently not allowed.